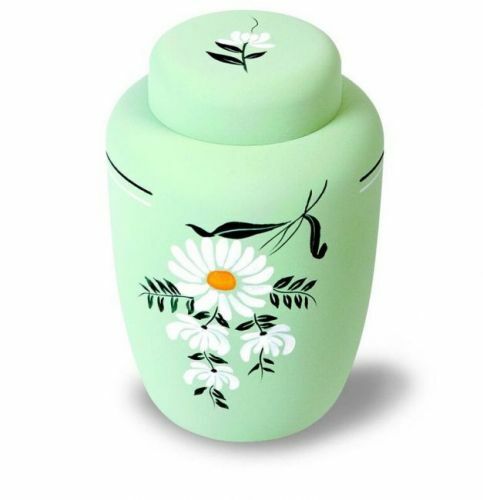 This biodegradable urn is made from durable and environmentally-friendly cornstarch. The urn measures 10'' high and has a capacity of 238 cubic inches which is suitable for holding the full ashes of an adult. A secure "snap lock" closing permanently seals the urn.